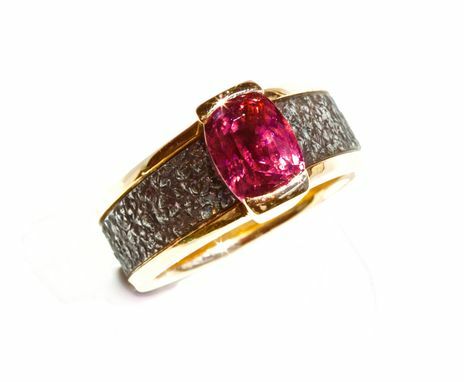 This natural rare Red Spinel is as bright as a Ruby, at a fraction of the price!. The stone is (8mmx6.5mm) oval (1.68ct). The ring is Hand fabricated in 18kt red gold and durable forged stainless steel. This ring is a size 7 1/2, the width is, 10mm wide at the top, and 7mm at the bottom. This is a very special ring!